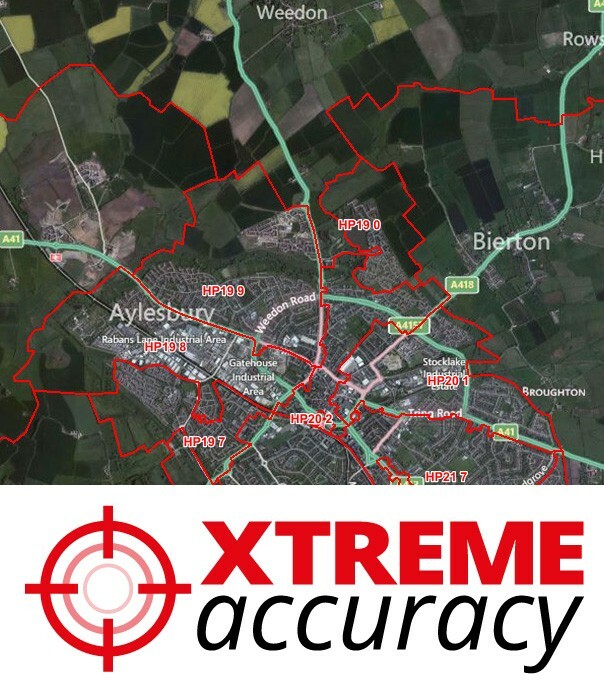 XYZ Postcode Sector Boundaries have been upgraded to our New "Xtreme Accuracy" Standard. 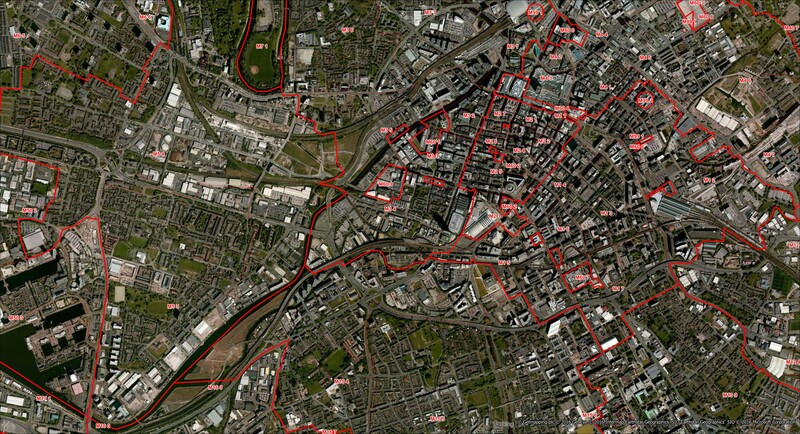 This means the Boundaries were re-Digitised so they not only fit around the Postcode Points but now follow Real Physical Features on Air Photography, such as Streams, Railways, Fences, Walls and Roads. You can zoom in to Street Level accuracy at around 1:10 000 scale. Postcode Sectors are the third level of the UK postcode system and are indicated by the number after the space in the postcode. There are about 11,000 sectors in total across the country. Physically they might cover a very small area in Inner London or be very large in the Highlands, but the total number of addresses in each one is relatively similar at around 2,500 on average. Some sectors are 'non-geographic' as they relate solely to large users (e.g. the Newcastle Pensions Centre or Royal Mail Philatelic Office in Edinburgh) or PO Boxes. 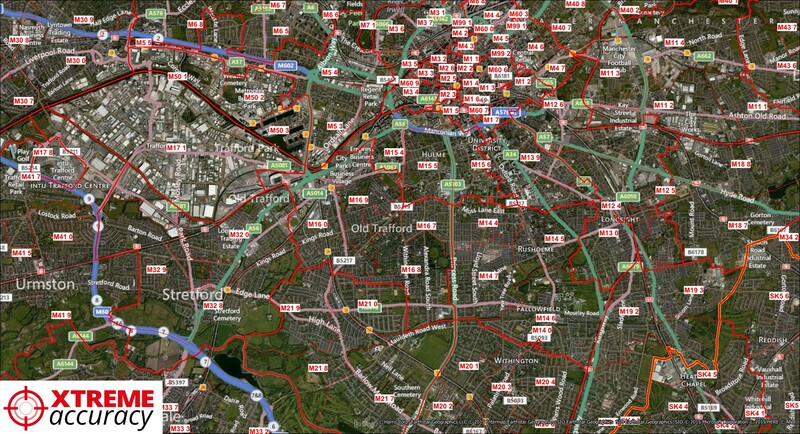 These are one of the most widely used datasets in digital mapping, typically for sales and marketing where they can be used for analysis (e.g. 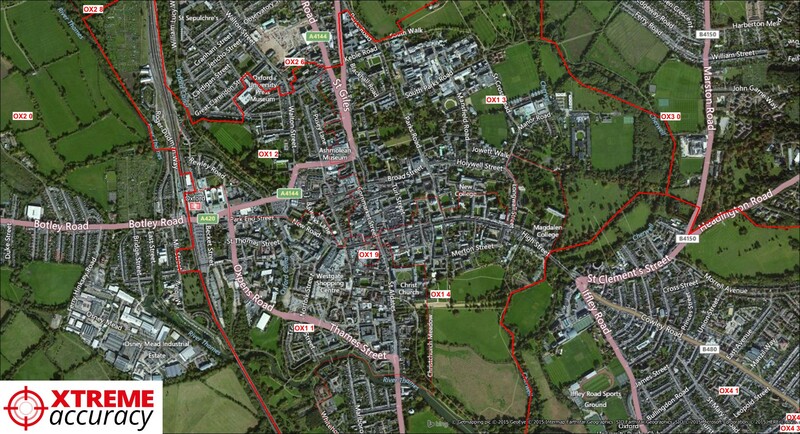 thematic maps) or for constructing sales territories. The 2018 Version was released in January 2018 and is current to the Q3 PAF release. Approximately 600 postcode sectors have been completely revised in this release since the previous edition in November 2016. Two new sectors have been added to cover the Battersea Power Station development site. The only areas not yet upgraded are the Scottish Highlands, Northern Ireland, the Isle of Man and the Channel Islands. 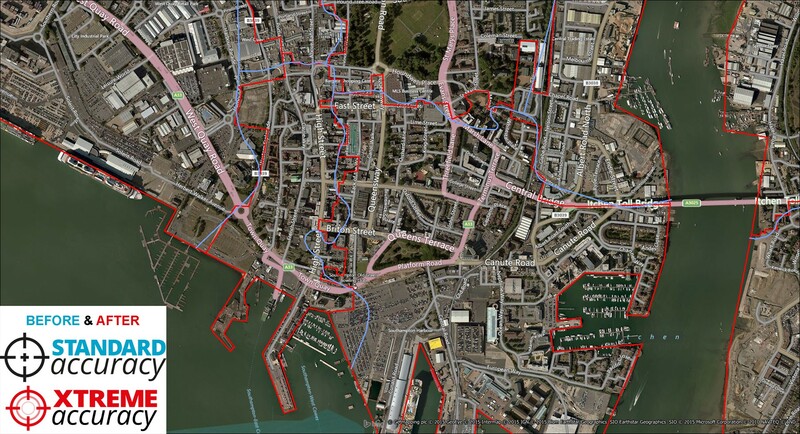 The lines should be styled to show the type of boundary (Area, District or Sector) and do not include the coastline.